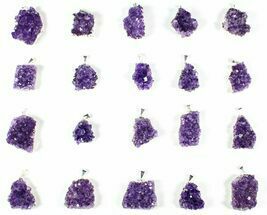 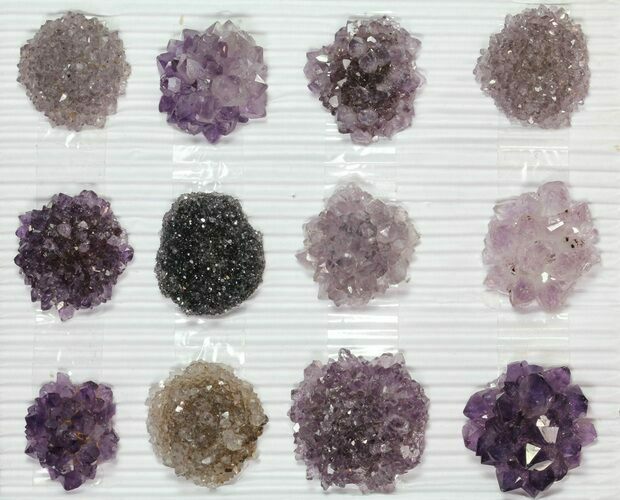 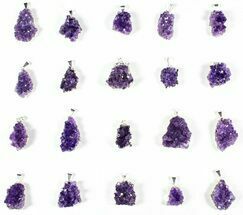 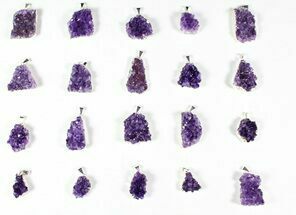 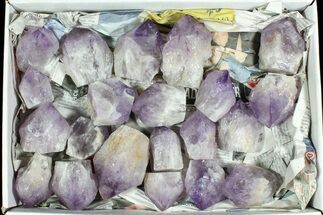 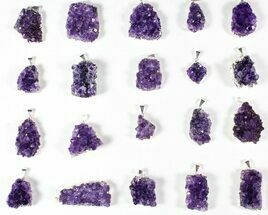 This is a wholesale lot of 12 amethyst "rosettes". 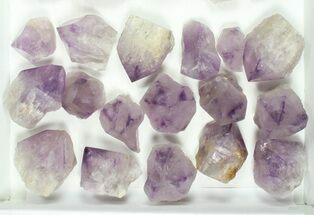 They range in size from 1 to 1.4". 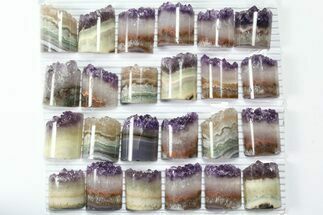 These specimens are from "stalactite" projections inside of amethyst and quartz geodes. 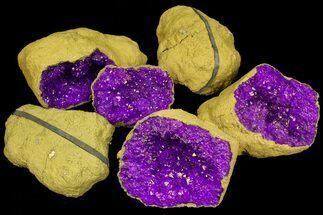 When the geodes are mined out of hard rock, the projections often break and then the ends are cut into these gorgeous rosettes. 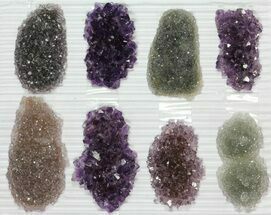 With 12 pieces in this lot, that comes out to just over $10 per piece.